Offering you a complete choice of products which include welded mesh, stainless steel weld mesh, ss weld mesh and rectangular weld mesh. 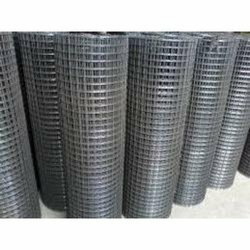 Weld mesh is manufactured from metal wires welded using an electronically controlled electric process employing the principle of fusion combined with pressure at their intersections. This gives a homogeneous section without any loss of strength or area. By using different diameter wires, it can be made into light or heavy gauge product. Because it is welded it can be cut into any shape. It cannot separate or fray and does not require tensioning in order to pull it into shape. It can be supplied in framed panels made to customer’s requirements. Its large open area gives good visibility when used as screening or for guards. 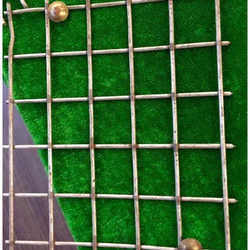 Welded Mesh is manufactured in different kinds of metals like Mild Steel (M.S. ), Galvanized (G.I. 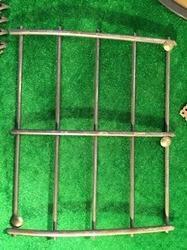 ), Stainless Steel (S.S.), PVC Coated Welded Mesh. Welded mesh provides safety wherever moving machinery is involved. As machine guards or fixed safety barriers, welded mesh provides visibility together with all the protection the Health & Safety Acts require. For storage Potter & Soar welded mesh makes strong pallet sides, shelves for racking, bins, scrap containers, baskets and so on. Guarding and protecting are two important areas in the building trades where mesh is invaluable. Safety guards on scaffolding, tree guards, window guards, and motorway bridge parapet guards are just a few examples. Protection of people and property is becoming more and more important in days of increasing vandalism. 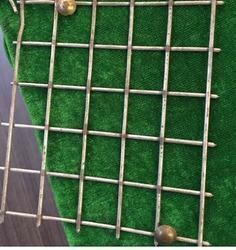 Weld mesh is extremely versatile for all sorts of applications in the farming industry. On the Poultry, Rabbit and Mink industries it is used for rearing cages. However one of the most extensive applications is for animal enclosures and not just round the farms, but in zoos, kennels, aviaries and catteries. It is also used for making silo bins, ventilation and drying ducks, trailer sides, retaining panels for barns, gates and fencing. With the support of our modern infrastructure facility, we are engaged in manufacturing, exporting and supplying superb quality Welded Wire Mesh. Our offered meshes are widely used for making enclosures and fencing for effective protection against trespassers by keeping them from climbing. We manufacture these meshes in accordance with latest quality norms by utilizing high-grade steel and ultramodern machines. Furthermore, we supply these meshes in tamper proof packaging at nominal price tags. Owing to our immense domain expertise and market knowledge, we are able to offer excellent quality SS Weld Mesh that is used in different industrial applications. This mesh is designed and manufactured in strict adherence with market quality standards using quality approved raw materials and sophisticated machines under the direction of our dexterous professionals. Available in different sizes and designs, offered mesh is provided at very nominal price to our honorable clients. We supply to the chemical, pharmaceutical, health care, food, pollution control, electronics, building industries and many more.